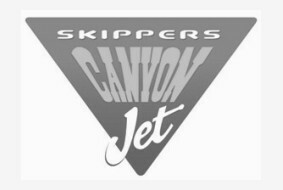 Come with Skippers Canyon Jet and experience unbeatable value as you are taken on a spectacular guided tour of Skippers Canyon followed by a thrilling jet boat ride through the narrowest canyons on the Shotover River. Discover a land rich in gold mining history and breathtaking scenery just a short distance from Queenstown. Skippers Canyon Jet is the must do jet boat trip in Queenstown. - Dress for the conditions on the day! - Winter: Warm hat, wind proof warm jacket, gloves and sunglasses, water and a camera. Dress like you are going skiing and you'll love it! Skippers Canyon Scenic Tour will take you on a journey into a land of outstanding natural beauty and rich in gold mining history, allowing you exclusive access to Winky's Museum and the Sainsbury Gold Claim. water and a camera. Dress like you are going skiing and you'll love it! Skippers Canyon Scenic Tour & Jet boat trip will take you on a journey into a land of outstanding natural beauty and rich in gold mining history, allowing you exclusive access to Winky's Museum and the Sainsbury Gold Claim and taking you on an adrenaline fuelled jet boat ride through the dramatic canyons of the upper Shotover River.